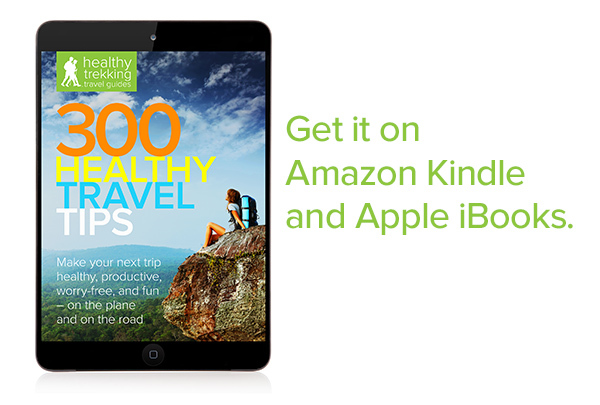 Now available on Amazon Kindle and Apple iBooks, 300 Healthy Travel Tips is filled with advice and insights that will make you a smarter and healthier traveler, so that your next trip will be productive, safe, and fun. Oh, and did we mention it’s fun? Beautifully designed and filled with insights, colorful images, offbeat humor, with gazillions of useful and fun website links, 300 Healthy Travel Tips will both enlighten and entertain your brain. 300 Healthy Travel Tricks is the first in the Healthy Trekking travel guidebooks series. Life is a journey and an adventure. Why not make your trek a healthy one? That's why you need this book. We'll show you how.